Nestled in the foothills of the Smoky Mountains in Northeast Tennessee and Southwest Virginia lies the scenic and emerging outdoor tourism destination known as the Tri-Cities. The region gets its name from the three similar sized cities that serve a greater 18-county region that also stretches into Western North Carolina. 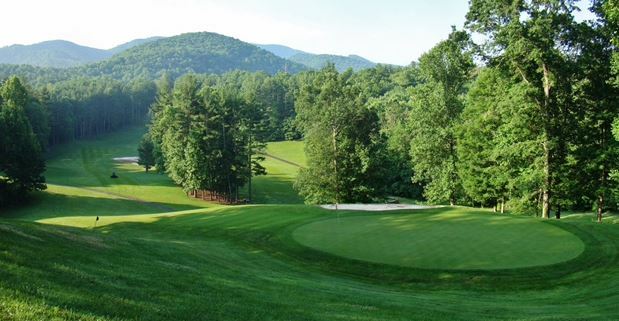 The cities of Bristol (a border town whose main street is bisected by the TN/VA state line), Johnson City (TN) and Kingsport (TN) each offers something a little different, but collectively can satisfy nearly all tastes for food, culture, music and – of course – golf. The area knows a little bit about playing hosting visitors. Bristol Motor Speedway races and regional music festivals regularly draw crowds in excess of 100,000 people. It stands reason to believe that you can find a great rate on a place to stay in addition to welcoming merchants and restaurateurs to will make you feel like you’ve lived there for years. Back in 2005, Golf Digest ranked all 330 metro areas in the country from top to bottom using factors such as course conditions, price, access, memorability and variety. The Tri-Cities region ranked number two on that list. People took notice. If one were to look only at a list of the course architects that have worked in the Tri-Cities area, one might think they are reading an advertisement for Pinehurst or Myrtle Beach. A.W. Tillinghast, Donald Ross, Tom Fazio, Bobby Weed, Rees Jones, Dan Maples, Ellis Maples, Dennis Griffiths, Mark McCumber, Tom Clark, Arthur Hills and George Cobb have all left their fingerprints on the region. The variety in the style of courses is refreshing. You can choose from traditional parkland designs, resort-style, links golf or some of the best mountain courses you’ll find anywhere. Whatever your preference, you will find affordable prices without sacrificing anything in terms of course conditions from what you’d expect to pay in big markets or fancy resorts. 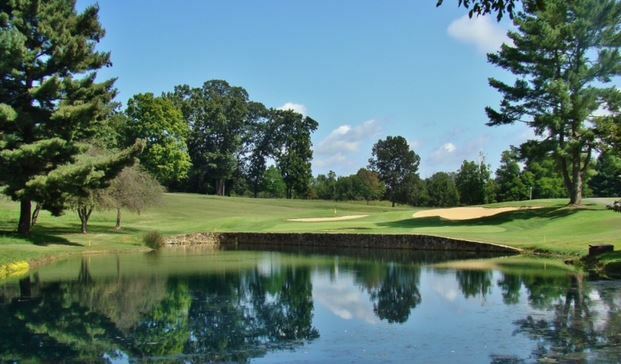 The area is also home to two bucket-list worthy courses. If you “know a guy”, then get him to take you to The Virginian (Tom Fazio 1993; 7110/130/74.4). The course hosted a Champions Tour event in 1994-95 and served as the site of the 2003 USGA Senior Amateur Championship. If you know a U.S. President named Bush or a quarterback named Manning or Marino, maybe they’ll invite you to The Olde Farm (Bobby Weed, Golf Digest Best New Private 2000; 6885/127/73.4/Caddies required). With the latter, legend has it that a local coal man wanted to join August National and was turned away. His solution was to build his own course and create the same type of experience. If you get the chance to test it, butterflies will flutter on the tees and knees will knock on the greens! Kingsport – Chop House, Stir Fry, Main Street Pizza Co.
Landon Owen is a self-professed golf addict whose first job out of college was selling golf packages in the Carolinas. With over 200 different courses played under his belt (on his way to a goal of 1000), he enjoys sharing the game with others through play, travel, written word, movie quotes and photography.